On December 22, 2018, the United States Federal Government shut down as President Donald Trump and the US Congress could not agree on a 2019 budget. Trump, who requested over $5 billion for a southern border wall fund, was denied by Congress. Trump was unhappy with this decision and shut down the government indefinitely or until he receives his funding. Locally, the story seems to have gone quite unnoticed. It has now been over a month, breaking the previous record of the longest shut down in US history (21 days). One of the biggest issues with the shutdown is the amount of government employees that were furloughed (placed on temporary unpaid leave). About 400,000 federal employees have been left with no money to support their families. Tax returns will also be affected, with less than 15% of IRS agents still at work. This could delay when people receive their refunds, which is an important payment for a lot of families to start the year. Beverly Baptiste, biologist with the National Institute on Aging shares her thoughts on the shutdown. “Like most other Americans, many federal workers live paycheck-to-paycheck and missing just one can make a devastating impact on a family’s life. I was supposed to start my job with the federal government on October 1, 2013. 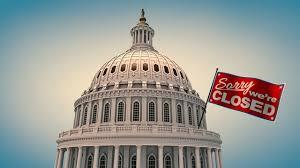 The government shut down and remained shut until October 19. The most difficult part was not knowing how long the shutdown would last. I didn’t know if I would need a loan to pay my bills when savings ran out, if I should get another job, or if it would reopen before any of that became necessary,” says Baptiste. Obviously, shutting down the national government creates real economic struggles, but will hopefully turn out to be a successful decision. Shutdowns have happened in the past and they can always happen again. With such a pressing issue occurring in the government, it is important to know what’s going on- even if it doesn’t directly affect you. We can see adults struggling to take care of their families and pay their bills. Learning to budget and save emergency money could save the next generation of young adults from financial disaster.